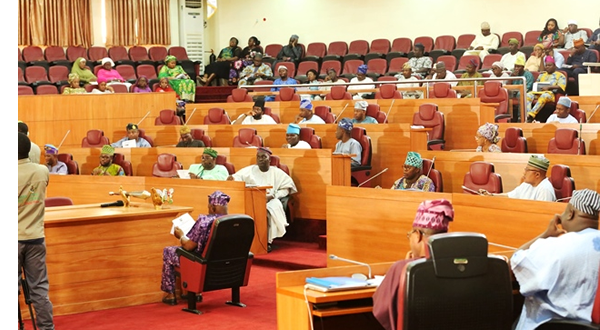 The Lagos State House of Assembly on Tuesday ordered the Commissioner for Local Government and Community Affairs, Mr Muslim Folami and Onibeju of Ibeju-Lekki, Rafiu Salami to reverse the installation of Mufutau Olamiji as Bale of Okeegun Ladeseso, saying failure to comply would attract disciplinary action. The Chairman of the Committee, Hon. Funmilayo Tejuoso had read a report over the chieftaincy tussel in Ibeju-Lekki between Ismaila Ogunkoya of Okeegun Odofin and Olajimi of Okeegun Ladeseso. In the report, it was noted that only Okeegun Odofin, Okeegun School were genuine but the one allegedly created by Onibeju known as Okeegun Ladeseso to which Olamiji laid claim to was unknown in the original layout of Ibeju-Lekki. Tejuoso had explained that Oba Salami fraudulently installed Olamiji who was his Personal Assistant as Bale of Aladeseso to override that of Ogunkoya who was seen as not being submissive to Onibeju. The Chairman also disclosed that the Commissioner connived with Onibeju to install Olajimi to bypass Committee for Chieftaincy Affairs, adding that Folami also proceeded to the tribunal while the House committee was conducting its findings despite given the order to take rescind. In his comments, the Speaker, Hon.Mudashiru Obasa who presided over the sitting stated that the Commissioner and Onibeju should adhere with the resolution, saying failure would attract appropriate sanctions.